It was a real disappointment when, in January, 2017, Microsoft discontinued Windows Essentials, which included Windows MovieMaker, a free, Windows video editing application. It was the perfect Windows entry-level video editing app for student projects. So I went looking for a replacement and found OpenShot Video Editor. 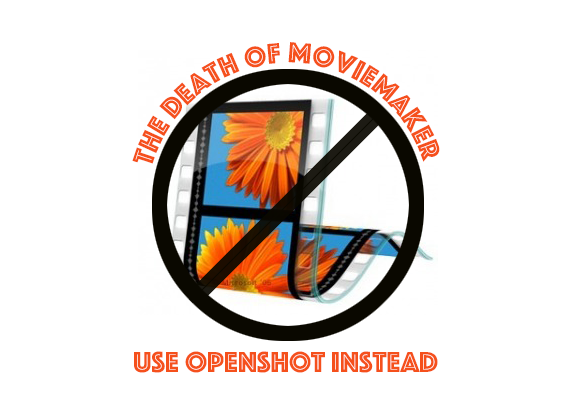 OpenShot is an open-source (a.k.a free) video editing app that does almost everything Window’s MovieMaker plus a bit more. Just go to the downloads page and download the application that matches your operating system (Windows, Mac, or Linux). Import your video and images by just dragging them into the application then you are ready to edit. Trim & Slice – Quickly trim down your videos, and find those perfect moments. You can cut out video from the beginning, middle, or end. Animation & Keyframes – You can fade, slide, bounce, and animate anything in your video project, video or images. Unlimited Tracks – Add as many layers as you need for watermarks, background videos, audio tracks, and more. This also allows you to do green screen effects. Video Effects including Green Screen – Remove the background from your video, invert the colors, adjust brightness, make it sepia or black and white, and more. Audio Waveforms – Visualize your audio files as waveforms, and even output the waveforms as part of your video. You can edit audio just like editing video. Title Editor – Really robust title editor. You can use a template or create your own. Lots to choose from. 3D Animations – Render beautiful 3D animated titles and effects, such as snow, lens flares, or flying text. Slow Motion & Time Effects – Control the power of time, reversing, slowing down, and speeding up video. Use a preset or animate the playback speed and direction. OpenShot also has great video and text tutorials for each of these features. This makes it really easy to use in your course with your students. The one feature OpenShot lacks is the ability to record a voiceover within the software. You will need to use an external recording application, such as Audacity, to record your voiceover then import it into your OpenShot project. This is a little bit of a pain but not a deal breaker. 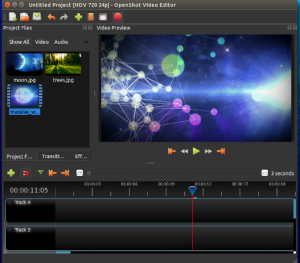 So if you are looking for a free and easy to use video editing application for your Windows students try OpenShot.